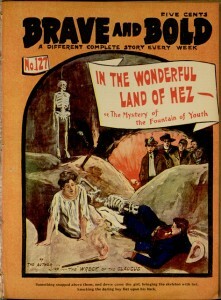 A couple of years ago, we released an eBook of In the Depths of the Dark Continent, a dime novel adventure featuring, among other things, giant crabs and a lost civilization. 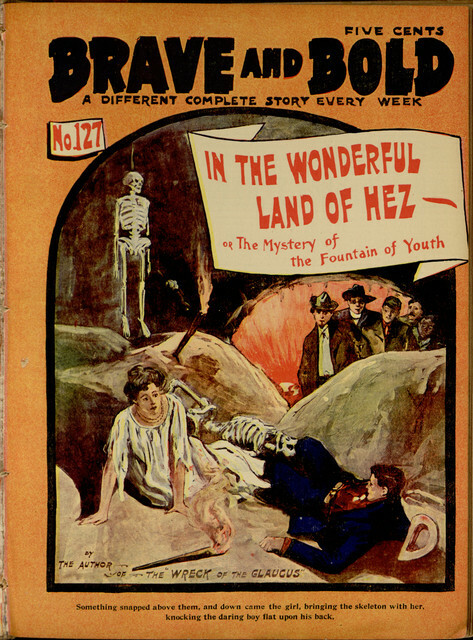 Our latest project at Distributed Proofreaders comes from the same author and is written in the same vein: In the Wonderful Land of Hez; or, the Mystery of the Fountain of Youth. To help create a new electronic edition of this forgotten adventure, first read this earlier post to learn how the process works, then join in at the project page.